I’ve been fortunate to write about some amazing stories as a journalist — from the fallout of airline deregulation to Big Oil to big mergers, including Time Warner’s acquisition of Turner Broadcasting, Disney’s buyout of Cap Cities/ABC, and a Texas financier’s hostile purchase of Pacific Lumber Co. that led to a struggle to preserve the ancient redwoods. In our area, the effort to preserve a 39-mile stretch of the South Yuba River as “wild and scenic” has interested me, and I’ve researched it extensively. Though in the shadow of Lake Tahoe, the South Yuba is one of America’s most beautiful stretches of water. I dedicated the fall 2015 issue of our magazine, titled “Yuba River Journeys,” to this subject. The introduction read: “Rivers run through our history and folklore and link us as a people,” as Charles Kuralt from “On the Road” wrote, and the South Yuba is inextricably linked to Nevada County, just as Lake Tahoe is tied to the High Sierra. We “dug deep,” and our report profiled the people such as Michael Funk and organizations including SYRCL that helped with this effort, but it also included some historic photos at the Hwy. 49 crossing, a river poem from Gary Snyder, river music from Alasdair Fraser, as well as a hand-drawn map of popular swimming holes from Dennis Barry — a classic. As a result I was pleased to see another historic South Yuba River photo appear on Sierra Fund CEO’s Elizabeth Martin’s Facebook page this week, stemming from a memorial for the late former state Sen. Tom Hayden, who died Oct. 23 in Santa Monica at age 76. 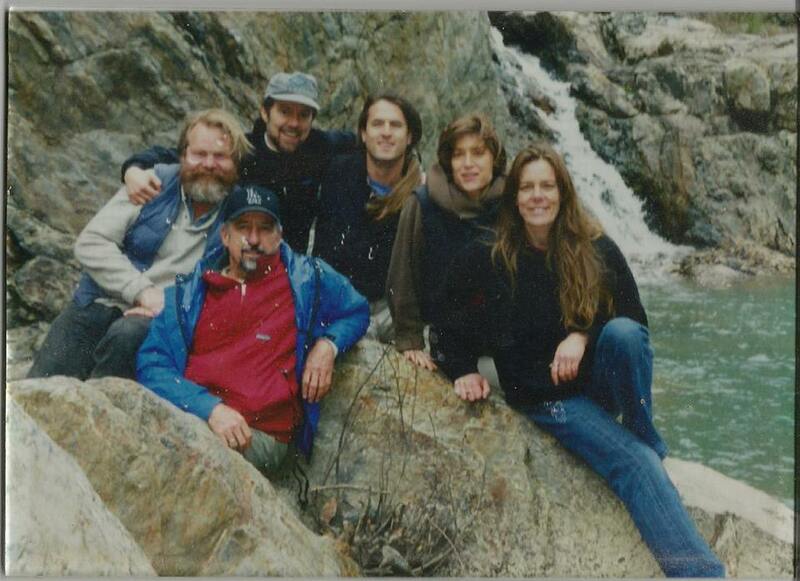 As Elizabeth explained, this photo shows Tom Hayden, then a Senator and Chair of the Senate Natural Resources Committee along with Michael Killigrew, Roger Hicks, John Regan, Tom’s wife Barbara Williams and herself at the South Yuba River during the campaign to pass Senator Byron Sher’s bill, SB 496, designating the South Yuba River as a State Wild and Scenic River in the spring of 1999. Next Next post: And The Union’s George Boardman calls himself a journalist?